First Thiaf, Now DISHONOREDLL! ALL CASUALS NEED TO DIE! Yup. The DLC packs weren't simply extra levels thrown out for a quick buck. To me, it was Dishonored polished to a mirror shine. It had all the strengths of the original game without any of the weaknesses, and gave me nothing but hope for the inevitable sequel. If I'm right, and Arkane does end up doing this, you're kinda getting the best of both worlds. 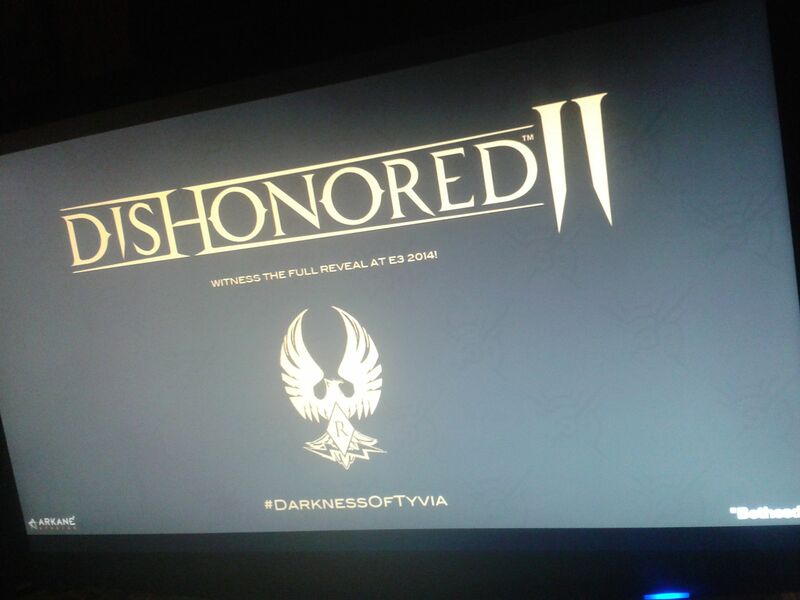 It'll be a sequel to Dishonored, still taking place in the same world, and will likely have its fair share of references to the original game. But they're not tying themselves to the same characters and settings, so they'll have much more room to experiment and expand upon what's already been done than they would have if they opted for a straight up continuation. Plus, I just looked up Tyvia on Google. It's the sorta-Russia to Dunwall's sorta-London. This could end up being very, very cool. This could end up being very, very cool. I see that you see what I did there. Well, I didn't really do it, but I'm gonna say that I did. Dishonored: Crime & Punishment Edition, with troubled protagonist Raskolnicorvo. You should be. But shouldn't we all? Anyway, potentially good news. I hope they can do something new with it - like Garrett's, Corvo's story ended with the first game, but there may be place for another game set in the same universe. The tsarina has been murdered, and her loyal bodyguard has been framed for the deed and sent to the gulags as punishment! Damn it, the more I think about it, the more I think a Dishonored that draws heavily for inspiration from Dostoevsky could be a truly wondrous thing. Explorations of class and Bolshevism, religion and morality, murder and suicide. Insanity and treachery, fratricide and Gulag camps. That's exactly what I was thinking of. A fantastical twist on that could be an awesome thing to behold. ...hey, does Digi still work for Arkane? If he does, does anyone here have anything we can blackmail him with to get some early screenshots and info? I was thinking something like "And to the south in the drier parts there's this frosty blonde widow with pet dragons who seems to collect armies everywhere she goes like its nothing." Nah, she's to the east. The original felt a little stale and soulless, I've heard great things about the DLC - I should give them a try soon. I hope this turns out better. Hope we get to take a trip on a whaling ship this time. I'm genuinely curious about the setting. That's one thing the original definitely nailed IMO. My main wish for the original was that it be a bit longer & the story more layered & developed. So I hope they do that with this one. Yeah, I'm kind of along the same line of thinking. It's why I hope Renz is right. I don't mind reusing the brand name for marketing reasons, the core gameplay mechanics, and the general setting of the fiction, the universe, but you can change the rest. New location in the world, new time period, characters, plot conflict... Not every IP has to do this, but it would be nice if more took these sorts of liberties. Anyway, good news, this. Looking forward to hearing more.